The Sonic and the FMA banners are ok this time. If you think anything needs improvement go ahead, otherwise I'll upload them. On the Kanon one get rid of the different fades on the right part and fade the left part to match the change. Also, the end of the character's hair is blurred a little too much. Last edited by FlashD; 06-26-2010 at 04:29 AM. Alright, my submission. The two characters are from the game Persona 4 (which does have a manga). The one on the left is the first Persona of Naoto Shirogane called Sukuna Hikona, the right one is the first Persona of Teddie called Kintoki Douji. I know I need some subtext, but I can't think of anything to put. Or for the right side. Everything else should be good though. I wasn't completely sure what was wrong with the right side, but I think I fixed it. Last edited by Bulf; 07-01-2010 at 07:22 PM. I guess I'll give this a shot. Konata Izumi from Lucky Star. Last edited by Acnologia; 07-05-2010 at 08:39 PM. Darkseid: Your banner is too plain. Make it a bit more interesting. The two characters need better blending as well. Ellipsis: Your Pokemon banner is way too plain. It's just a background with a heavily blended character on it. The Kanon one was not fixed at all. The hair is ok now, but those fades on the background are still there. See attachment. Cotaku: The background does not match the character at all. Aiacos: Your banner is too bright. I'd recommend you to change the background to something a bit darker (not too dark though). Also, consider adding a border. 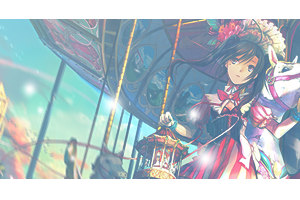 Aiacos' banner and Ellipsis' Kanon banner have a preview here. Check it up. Last edited by FlashD; 07-10-2010 at 06:41 AM. Last edited by Acnologia; 07-13-2010 at 07:32 PM. I don't understand exactly what I'm supposed to fix on it. o.O; Do you want me to take away the lines at the bottom? Yes, Ellipsis, that's exactly what I'm pointing at. Remove the lines only on the right part and adjust the left one accordingly. Last edited by .Tatty. ; 08-16-2010 at 02:23 PM. Aiacos: The character is fine, but the white background makes it look too bright. This also prevents the text to be readable without killing some random eye. Tattster: You need to fix the repeating part on both banners. The Pokemon one needs it's lighting fixed. There is a bright part right in the middle of the character. I'd suggest you to make it into an energy ball. As for the Bleach one, the very left block of the left part looks rather blury. BTW: Both of you have previews set up on the previews page. Last edited by FlashD; 08-18-2010 at 08:50 AM. Last edited by Tranquiose; 08-22-2010 at 05:28 AM. In my beloved Tamahome's arms. Here's what I made.It's very simple. Lovely set made by the awesome Arxia! 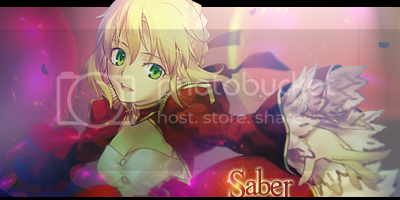 LurkingTears: This one is a nice banner, but it needs some fixes. The text on the left part is way too small. Make it bigger, much bigger and use it to get rid of the emptiness to the right. The two circles in the scan need to be spread some more. The way they are now, don't really show they have any point. Fill the part left and right from the character with them (don't exaggerate). Right now it's rather empty. The repeating part is way off (see screenshot). The right part is ok, just the text is too much towards the bottom. Move it more to the middle or, if you can, use Rider's insignia instead of the text. .Elmer: Your banner is too empty. I'm going to postgraduate school in the UK. Rayne from Neo Angelique Abyss. Make the "animeforum.com" text more visable. And the edge all around The Kid looks jagged. Alita from Battle Angel Alita. Last edited by Bibi of the Blue Sea; 01-06-2011 at 06:28 PM. if the problem is quality...please change it to png..
Last edited by Tranquiose; 01-05-2011 at 05:15 AM. Hyphen: Kanon and Soul Eater are fine so far as they are from the artistic point of view. You only need to align the repeating part and the right part with the main one. Check the preview page (link at the bottom of this post) for details. Arxia: Yours is fine and will be up in a few days. In the meantime you can check the preview page, which link is at the bottom of this post and let me know if you want to fix anything before I put it on the site. Bibi of the Blue Sea: I told you about it already in chat. 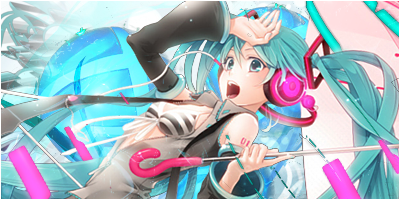 Fix the blending of the character, the part above the "animeforum" text is too empty, put the horizontal line at the bottom, so it doesn't give that optical illusion and the motive on the right part is way too blury. Nice overall composition though. Natsu~: Your banner is random. The background doesn't match the character and the text is randomly positioned on various places on the banner. It has no flow and the focus seems the text "Ryuugi!" instead of the character. I'm rejecting your banner. Well I hope this is better. Last edited by Ωmega; 02-14-2011 at 06:33 PM.